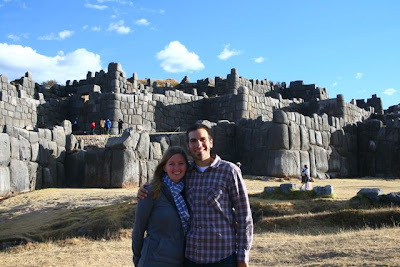 Matt and I agree that Cusco is our favorite city in Peru. 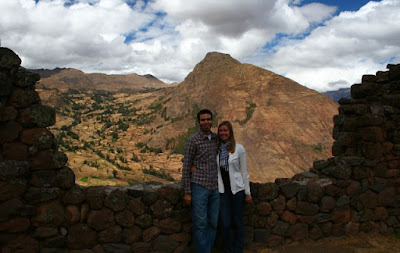 We have spent the last two days touring Incan ruins around the city and in the nearby Sacred Valley. 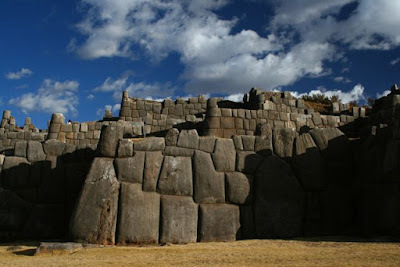 Tomorrow we are off on a 4 day, 3 night trek to Machu Picchu. It is called the Jungle Trek and includes bicycling and hiking. 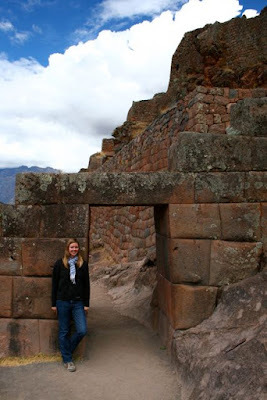 The fourth day, which will be Thursday, is spent entirely in Machu Picchu, which I am beyond excited for. 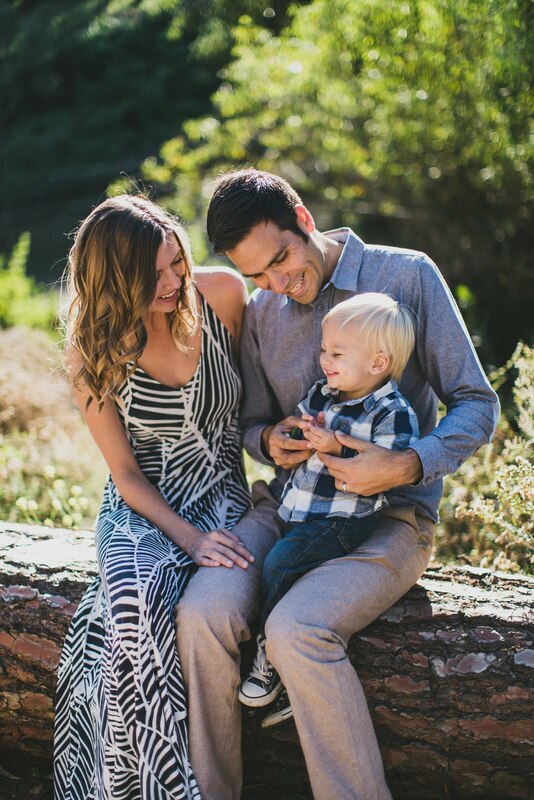 If you care to see what we will be doing, click here. We did not go through that company, but that is the trek we have signed up for. This is good-bye for a few days since we will be away from communication mechanisms, but I think that is a good thing because there have been way to many blog posts from me lately. P.S. I love ruins. A lot. 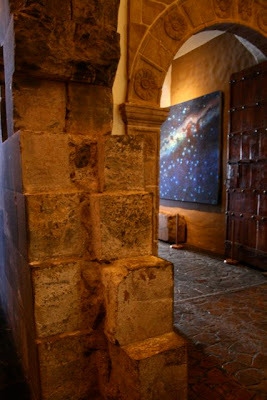 The Spaniards built Santo Domingo Monastery over the Incan temple of Coricancha. 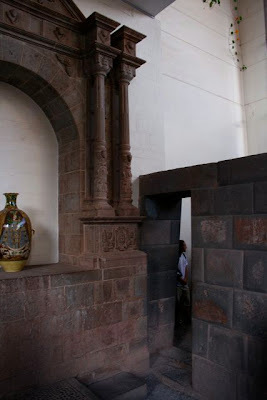 They destroyed 70% of the temple to build their church. 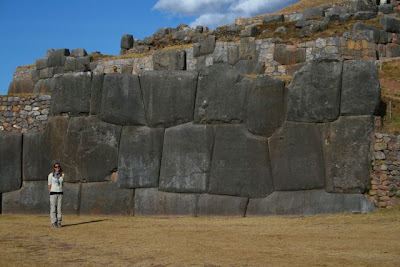 If you look at the pictures below, you can see the large grey rectangular rocks of the Incas next to the colonial stone. 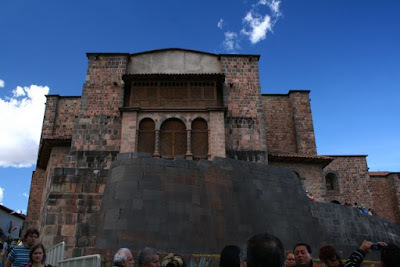 This was an Incan fortress and temple where they came closest to stopping the Spanish conquest. 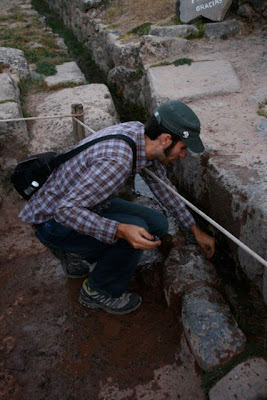 Notice the size of the stones compared to me. We took this one with a timer. Can you tell by how it is crooked? 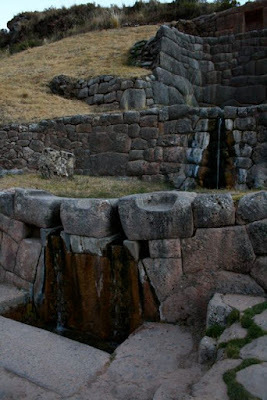 If you ever wanted to know where the fountain of eternal youth is located, here it is, according to the Incas. You can see Matt dipping his hand in to stay youthful forever. 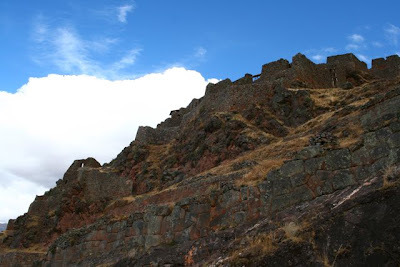 This was a site for ritual bathing for the Incas. 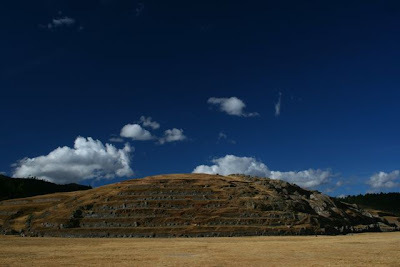 This was the site of great Incan terraces and a temple. 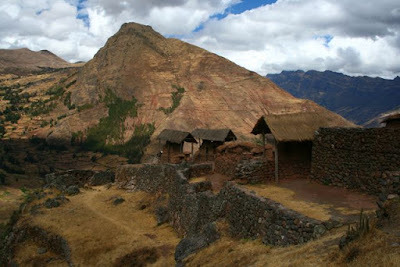 The temple is built into the mountain and is a bit camoflauged, so look closely. I hope you guys have lots of FUN! I can only hope one day I get to see all these beautiful works of art. It is not only fascinating to think how old they are, but how they were made. See you guys soon! I'M THRILLED TO KNOW YOU LOVE RUINS A LOT BECAUSE I AM A RUIN SO I KNOW YOU LOVE ME A LOT. I LOVE YOU BOTH AND LOOK FORWARD TO HARING FROM YU WHEN YOU RETURN TO CIVALIZATION. Hi Sis! 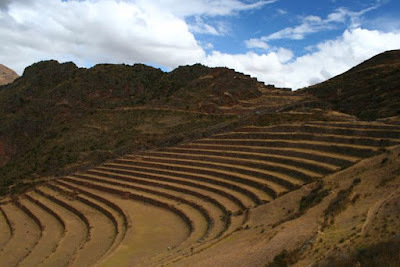 Your in Machu Pichu today. Proud you guys make things like that happen. Hope the journey there was as beautiful as arriving. I'm on to your gifted book now and enjoying it. Take more crooked pictures, that one was my favorite. It's Dad. he can only look on weekemds. Love the pics and glad to see Trav is watching. I don't know if he told you Erica Ruiz works in Healy Alaska. 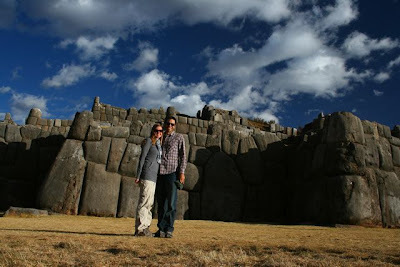 Can't wait to hear more about your "greta" guide to Machu Pichu and see the pics. p.s. did you bring some of the water back?